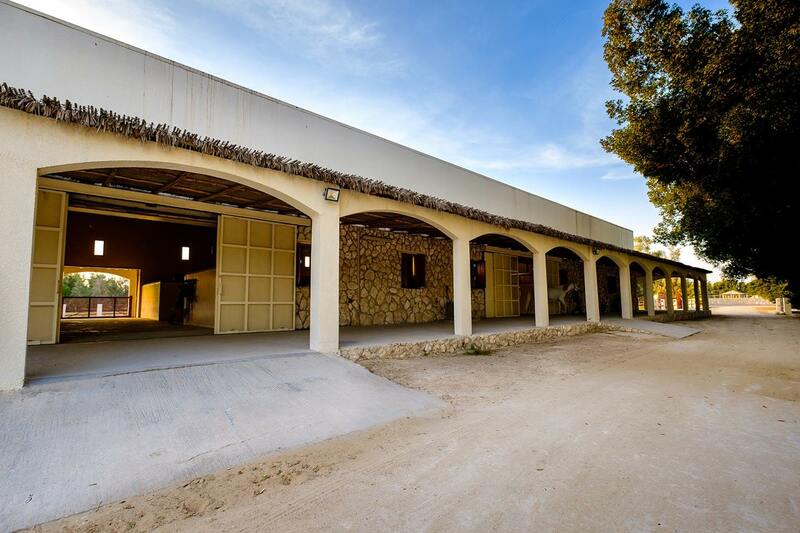 Al Jood Stud is a portal into the heritage of Mohamed Jaidah and his family and a connection to the native horses of the region—a gateway to the stars. Throughout the ages, the culture and history of the people of the Arabian Peninsula has been inextricably linked to the horses who evolved side-by-side with them. The lore of the local populations is that the stars which blanket the desert skies sprang from the galloping hooves of the Arabian horse, which itself was formed by grains of sand flung to the winds by the Creator. Mohamed Jaidah was born into this rich mythology, which fed his creative spirit. When he was still a young boy, already captivated by the romance of the desert horse, he was further enthralled by the stories of fictional horses as told through the pages of books and the magic of the movies. Jaidah’s smoldering passion was ignited and he began to dream of someday owning and raising magnificent Arabian horses of his own. 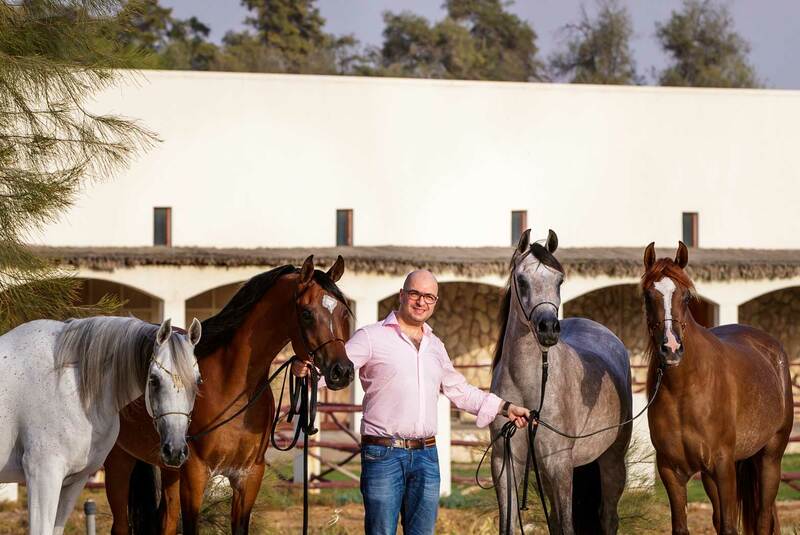 Mohamed Jaidah founded Al Jood Stud in 2009, the fulfilment of the dream which had been unfolding within him since his childhood. 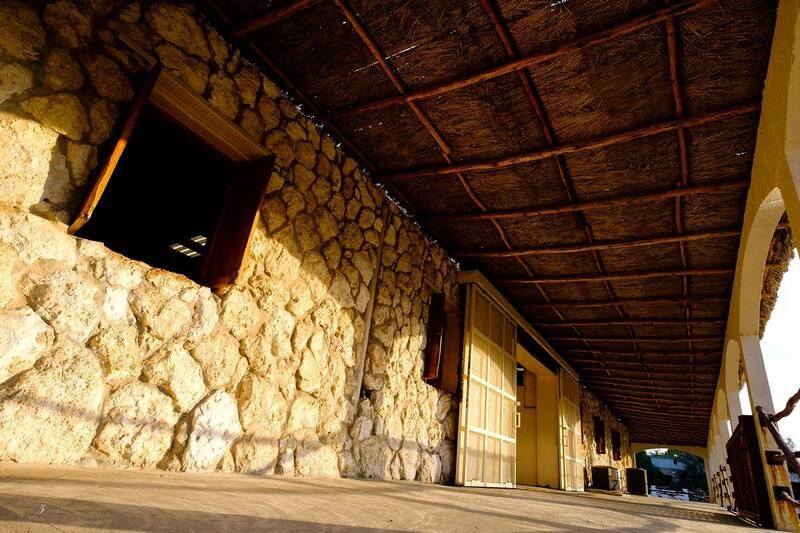 Located north of Doha, near the town of Al Khor, the property—which his parents had developed in the 1970s—was a weekend haven for the family, where they were surrounded by horses and other animals. Mohamed fell in love with horses in general and appreciated the cultural connection that existed between himself and the Arabian breed. He developed a specific passion for the purebred Arabian after seeing the magnificent World Champion stallions Gazal Al Shaqab and Marwan Al Shaqab at nearby Al Shaqab Stud. They represented everything he cherished in a horse, including that elusive quality, presence, which captivated and inspired him. With such a high standard of excellence as his guide, Mohamed applied himself to researching the breed: studying pedigrees, asking questions, and seeking mentors who would share their knowledge. After engaging in a period of serious study of breeding practices while traveling the world, the first three purebred Arabians were purchased for Al Jood Stud. The following year, out of respect for the history and continuity of the classic Egyptian breeding program, a decision was made to include bloodstock that would add to the pool of straight Egyptian blood available in Qatar. As a result, the farm includes a growing collection of prized Arabian horses, both purebred and straight Egyptian, selected from top breeding programs around the globe. From this foundation of excellence have come results that are proving the validity of the program; the first generations of homebred Al Jood champions. In addition to those housed at the mother farm in Qatar, Al Jood Stud horses are also in the care of some of the most skilled and successful trainers and breeders in America and Europe. In the capable hands of these experts, the Stud’s horses are prepared and shown locally, regionally, and internationally at the most important industry events. They are winning titles and championships all over the world. A prominent example is Al Jood homebred Conquest BR (Versace x Lee Anna Psy), who followed up his 2014 United States National Champion Yearling Colt title by winning the 2016 U.S. National Champion Junior Stallion award as well. Conquest returned to competition as a senior stallion in 2018 when he was named the Scottsdale Reserve Champion Stallion. With less than ten years in operation, Al Jood Stud and its horses are poised to take their place as a leader amongst the firmament of stars that make up the top tier of the Arabian horse community.